A worker thawing an ice dam inadvertently caused a small fire at 3 Essex St on Monday. The worker was using a torch to melt ice that was built up on the roof. At 1319 the Fire Department responded as a result of a smoke detector activation and arrived to find light smoke in the lobby area. After a brief investigation, the seat of the fire was located around an area where a section of roof was being heated. Firefighter Scott Steeves used tools to expose the hidden fire while other firefighters came to the area with fire extinguishers to put the fire out. Damage was confined to the exterior trim and the fire was stopped before it extended into the void under the roof. No evacuations were required and no injuries were reported. All fire personnel were clear by 1355. Use of propane torches to thaw ice dams is common but not recommended. All too often, the flame is placed too close to combustible building materials and they ignite. Many times the fire can go undetected for long periods of time because the fires often begin where there is limited smoke detection equipment. 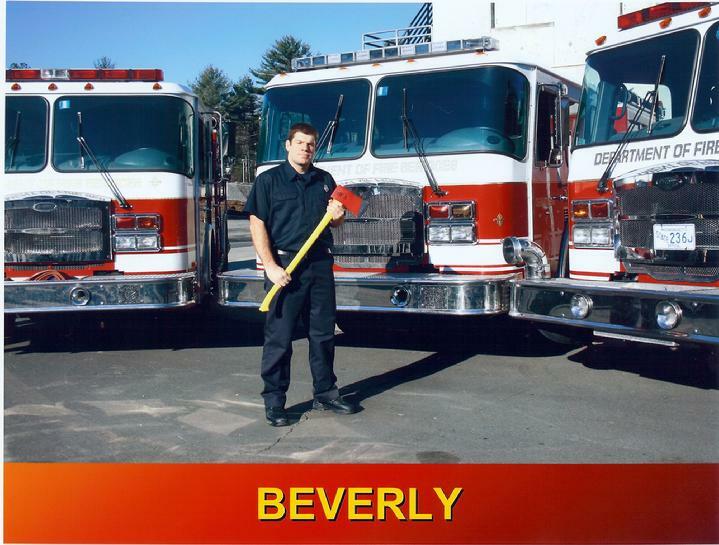 The Beverly Fire Department responded to 34 incidents over the weekend varying from motor vehicle accidents to carbon monoxide scares. A Fire Department vehicle was also involved in a motor vehicle accident on Friday at the intersection of West Dane and Chase Streets. The accident involving Engine 1 occurred Friday as the truck was responding to a fire alarm activation at 394 Rantoul St. The accident occurred after a civilian vehicle ran a stop sign crossing into Engine 1�s path. The occupants of the vehicle were treated for minor injuries. No firefighters were injured. Some more alarming incidents came during the storm period when people called in reports of Carbon Monoxide alarms activating in their homes. In two of those cases, firefighters found operating gas powered engines in attached garages. In one case an operating passenger vehicle and in another an operating snowblower. It is imperative for people to remember that even with doors closed, carbon monoxide can travel into the home when engines are operating in an enclosed area. Carbon Monoxide is a deadly gas that interferes with your body�s ability to transport and use oxygen. Overexposure can be fatal. Carbon monoxide detectors are now required on every habitable floor of every home and within 10 feet of sleeping areas. Several trees or limbs came down bringing power lines to the ground. People are reminded to call when lines come down and not to approach downed power lines as electricity can travel through the ground surrounding live power lines. Firefighters responded to 3 motor vehicle accidents over the weekend. Only minor injuries were reported from the incidents. Firefighter Ryan Laracy graduated from the Mass Fire Academy Recruit Program on December 18. <?xml:namespace prefix = o ns = "urn:schemas-microsoft-com:office:office" /> Beverly firefighter Ryan Laracy graduated the 12 week Recruit Firefighter program on Thursday December 18th. The program is designed to give new firefighters the training and skills they will need to perform efficiently and safely on an emergency scene. A total of 65 firefighters from 38 departments took part in the training. Firefighter Mark Brewer is scheduled to attend in March. At 1307 on December 14, the Beverly Fire Department responded to 217 Greenwood Ave for a basement fire. Lt Robert Bergeron and his crew on Engine 3 arrived first to find light smoke coming from a single story wood home. Lt. Bergeron and FF. Dean Julien forced a door to gain access to the basement where they encountered heavy smoke conditions. Inside the basement they located fire above a stove and were able to quickly knock down the seat of the fire. <?xml:namespace prefix = o ns = "urn:schemas-microsoft-com:office:office" /> While Engine 3 worked in the basement, Lt. James Archibald and his crew from Engine 1 laid a hose from a hydrant to supply Engine 3 with water and entered the building to search for fire extension. They found fire in the walls and entering the attic space above the area where the fire was in the basement. The crew worked to expose and extinguish the fire before it was able to fully involve the attic. The two residents were displaced by the fire which caused significant damage to plumbing and electrical systems. There were also walls and ceilings opened in order to dig out fire hidden in the void spaces. Deputy Chief Mike Acciavatti estimated the damage at $35,000. Deputy Chief William Walsh has been assigned to investigate the cause of the fire. One firefighter suffered a minor hand injury and remained on duty and one of the occupants was transported to the Beverly Hospital as a precaution. All personnel were clear of the scene by 1403. At 0326 on December 14, Engine 1 responded for a report of a vehicle fire in front of 21 Bates Park Ave. Upon arrival, Lt. Donald Philpot found fire in the engine compartment extending to the passenger compartment of the vehicle. Lt. Philpot and his crew used 375 gallons of water to extinguish the fire which did significant damage to the vehicle. The cause of the fire was undetermined. At 1916 on December 13, the Beverly Fire Department responded for a fire alarm activation at 148 Sohier Rd, Product Resources. Upon arrival, crews found the alarm sounding and began to investigate a second floor activation. Firefighters forced a door to a work area finding a light smoke condition and no visible fire. After a brief investigation, a burning overheated light fixture was found and extinguished with a carbon dioxide fire extinguisher. The material burned and dripped to the concrete floor and did not ignite any other combustibles in the area. A representative of the building was notified to respond to the scene. Heating is the second leading cause of fires in the home in Massachusetts. One in ten space heater fires cause a death. Last year, there were 19 fires, three civilian deaths, two civilian injuries and seven fire service injuries attributed to space heater fires statewide. The Keep Warm, Keep Safe campaign will include television, radio, transit and web-based public service announcements, printed materials in several languages, and a grassroots outreach effort led by local fire departments. Many retailers have pledged to display educational flyers near space heaters, carbon monoxide alarms and pellet stoves. The Department of Fire Services also convened the state�s first Winter Heating Fire Safety Task Force that includes utility companies, the Attorney General's office, fire departments, the Department of Public Health, the Massachusetts Oilheat Council, the property insurance industry, Community Action programs, local councils on aging, the Salvation Army, the Shriners, and retailers. Space heaters can cause fires if they are placed too close to combustible materials such as drapes, furniture or bedding. Keep anything that can burn three feet away from the space heater and use only heavy-duty extension cords. Install and maintain smoke and carbon monoxide alarms on each floor of your home. Test the alarms once a month and change batteries twice a year. Make sure to check on elderly neighbors regularly in the cold months. If you heat your home by burning solid fuels (coal, firewood, pellets), be careful before, during and after using these kinds of fuels. Have the chimney cleaned annually by a certified professional. Dispose of the ashes in a metal container, with a lid, away from the house � not in the garage or under the porch. Natural gas and fuel oil are both safe and efficient. Make sure to have a professional clean and tune-up your furnace and hot water heater every year. Gas leaks can be deadly so the gas company adds something to make it smell like rotten eggs. If you suspect a leak move outdoors and immediately contact the local fire department. For more information on winter heating and fire safety, visit www.mass.gov/keepwarmkeepsafe or contact your local fire department.